People of color, relative to white people, fall on the negative side of virtually all measurable social indicators. The “living wound” is seen in the significant disparities in average household wealth, unemployment and poverty rates, infant mortality rates, access to healthcare and life expectancy, education, housing, and treatment within, and by, the criminal justice system. Coming to the Table (CTTT) was born in 2006 when two dozen descendants from both sides of the system of enslavement gathered together at Eastern Mennonite University (EMU), in collaboration with the Center for Justice & Peacebuilding (CJP). Stories were shared and friendships began. The participants began to envision a more connected and truthful world that would address the unresolved and persistent effects of the historic institution of slavery. 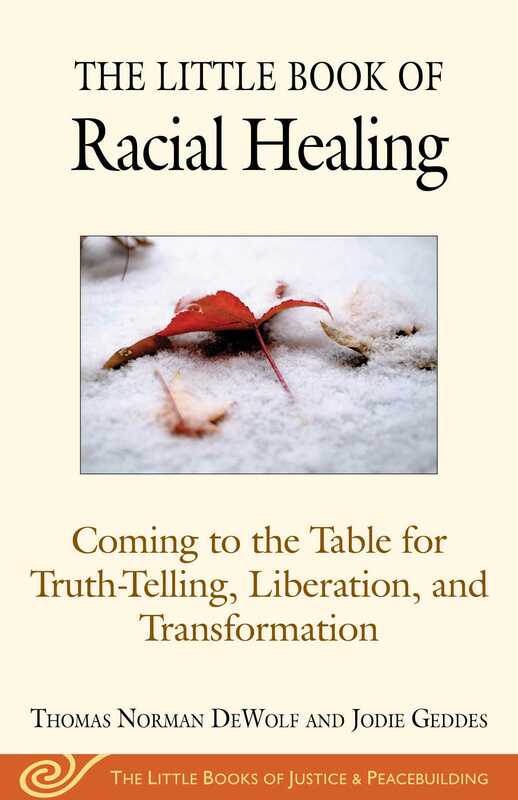 This Little Book shares Coming to the Table’s vision for the United States—a vision of a just and truthful society that acknowledges and seeks to heal from the racial wounds of the past. Readers will learn practical skills for better listening; discover tips for building authentic, accountable relationships; and will find specific and varied ideas for taking action. Jodie Geddes is the Community Organizing Coordinator at Restorative Justice for Oakland Youth (RJOY). Jodie serves as Vice President of the Board of Managers of Coming to the Table. She received her M.A in Conflict Transformation from the Center for Justice and Peacebuilding at Eastern Mennonite University, where she recently co-taught &ldquo;Restorative Justice Organizing for Communities&rdquo; at the Summer Peacebuilding Institute. She lives in Oakland, California.